The Bottle Share.... the epitome of Beer Geekery! So you've put together quite a collection, and you are tired of staring at it, what to do? Find a "Bottle Share" of course! The Bottle Share - "A social gathering that involves much laughter, inebriation, and constant logging into Untapped." So what are the guidelines, what should you bring, how should you act, are you worthy? Well that is what I am here to help you with. Now I'm sure if you are reading my blog you may already know most of this but for you newbs, please read, amend, and enjoy. Where do I find bottle share events? To start with if you have beer geek friends, just make a call (or use Facebook). It won't take long to organize an impromptu tasting. Everyone always seems to be holding onto beers that require sharing. What if all of my friends drink "Beast"? Well take to the inter-webs my friend! 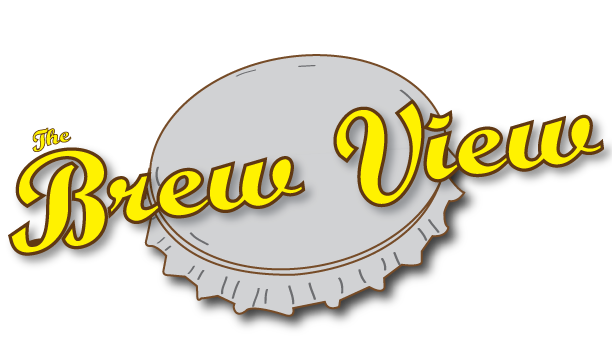 There are forums online, the most popular being RateBeer and BeerAdvocate, and local groups forming on Facebook all the time, such as Beer Geeks Dayton, Ohio. It's a lot like dating, your not going to get one, until you put yourself out there! Well if you haven't amassed the most impressive cellar, bring what you can. The Beer Geek community is generally very easy going, especially to those who are just starting to get into the scene, we tend to give those people a "grace period" to grow their palate and their cellar. A good way to decide is to communicate with those who are going. If someone is bringing a 2010 KBS and you happen to have a 2011, try to set up a vertical with some people. It is not rocket science, in the end you will be feeling too good to care. Is There a certain way to act, a code of conduct if you will? Well this is where it can get tricky, if it is a night with close friends, the conduct factor is pretty low, however if it is a tasting among acquaintances or at a festival with people you have never met, there are some common sense guidelines to get you through it. REMEMBER: At larger bottle shares there will always be that one guy/or girl, who gets too drunk. In this situation, things can go from great to crappy very quickly. Just try not to be that person who starts knocking over beers, getting into fights about big pours, or in general just won't shut up. DON'T BE THAT GUY! Try not to open a bottle that you did not bring, unless the owner of said bottle asks you to. Same goes for the pour. The owner of the bottle always gets priority, and usually the bigger pour. Is that your cooler full of Cantillon? No, well then you shouldn't be getting into it. This is pretty straight forward stuff we are talking about here. Yeah probably, something easy and small, just in case no one wants it, so you can take it home. Remember people are drinking at these things, food is a great pallet cleanser, and fights the quickness in which you get drunk! Definitely, a gallon jug or a few bottles is customary, for drinking and rinsing your glass (drink the rinse water too, h2o is your friend). If it is summer or a big group, bring a few folding chairs, if no one needs them, no biggie, they will stay in the car. Yes, most people do not have space saved for everyone's beer in their fridge, unless they have a dedicated beer fridge. Even then it may be full of their own beer. NO! BAD BEER GEEK, BAD! So There we have it, Just the basics here. Obviously this post can go on and on of bottle share etiquette, but that ain't happening. If you have an opinion, feel free to comment, just remember in the end, you will feel great, enjoy some fine beers, and hopefully make a few friends in the process. Though there are few left who may remember, the United States was home to over 1,200 Breweries just before Prohibition reared its' beastly demon head. 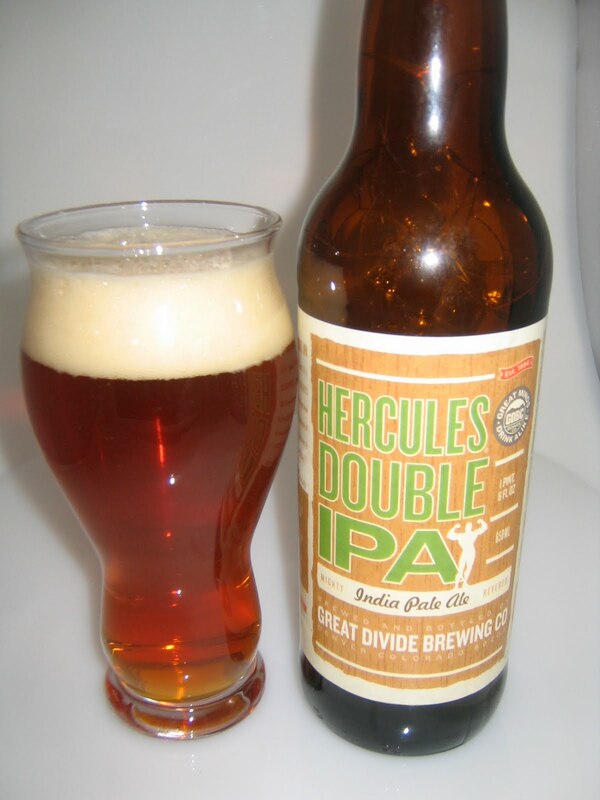 As of March 2013 there are 2,416 total breweries in the U.S. of which 2,360 are Craft! So we can breath easy, right? Well, this would be a short post if I said yes, wouldn't it be? I am of course referring to the ominous Craft Beer Bubble, caused by market over saturation of course. So let's visit both sides of the argument shall we? The bubble is coming the bubble is coming! Lets start with Brewer & Founder of Boston Beer Company's Jim Koch's opinion on the matter. Late last year, Koch, in an article titled "Drinking With Jim Koch" said that the "craft beer bubble [is] near a popping point. The market share could grow to 10 percent by the end of the decade, but most stores have reached their limit for all the new breweries." Are we nearing this pop? The shelves in the bottle shops near me are ever changing. When a brewery comes in and doesn't sell well, it goes right back out. Can a store stock all the beer there is to be had? Yes of course, but is it viable, these stores are in it for profit. Don't get me wrong, many are craft friendly and appreciate quality product and quality service, but they are still in it for a profit (Yay Capitalism!). With an ever expanding selection from an ever expanding amount of breweries, how can the market keep up? But is it? When you fall short of quality ingredients and compromise on taste just to join the bandwagon, how can the growth survive? I must say, the best thing about Beer, is the people who you enjoy drinking it with. And boy do I know some amazing beer geeks! People who aren't easily fooled by these imitators, these jokers of the hop, these green eyed entrepreneurs who get caught up in the money game behind beer. No, they are not! As described in Harry Schumacher's article titled "The Second Craft Beer Revolution: Will It Stick This Time", from 1987 to 1996 beer was a flourishing business. Through those years volume was up 40 to 60 percent, and in 1987 it was up more than 100 percent. These were the days of such legendary brands as Pete's Wicked and Celis, along with some not so legendary brands as Spring Street and Rhino Chasers. But in 1997 all came crashing down, Pop Went the Beer Bubble! Now you may say it is looking very familiar in today's market, it's all just going to crash. But I am going to give you some of my reasons why I just can't believe that. The first being the consumer, yes I am talking about you, and I am talking about me. Add in open information and beer rating websites like RateBeer.com and BeerAdvocate.com and you have got the Sherman Tank to blast the hell out that bubble and keep on keepin' on! Why? Well that is something the last century didn't have. Beer people, especially beer geeks, stay very well informed and in a world where there are new breweries opening up everyday, they are the first line of consumer defense. If brewery is in it for the money, and the quality just isn't there, that brewery won't last long. Hell, the minute one of the big breweries releases a "Crafty" brand and tries to sneak it into the market, the beer geeks know about it. This is the very reason why this is not a bubble. If you can't cut it as a quality product you will eventually be feeling it in your pocket book. Evolution at its' finest, only the strong survive!! The second reason I see no need to fear is the focus on the local. I have said this before in posts and I am saying it again. Local Breweries servicing local areas first is the best indicator of a strong industry that will survive (with a good business plan). So if you believe there is a Craft Beer bubble and want to run screaming for the hills to build your bunker, by all means do so. But you will find me at my local Brewery and bottle shop, raising a glass to the industry with class! The Dayton, Ohio region is blooming into a craft beer destination. As our fair city has weathered such financial hardships as NCR leaving, GM closing its' doors, and countless businesses folding, an economic resurgence could be on the horizon. And it could be fueled by Beer! With nearly a dozen breweries and brewpubs around the region opening doors in the next year, why not embrace the economic benefits of beer. Breweries add jobs, jobs add income to cities and the state, and great breweries add tourism. A brewery district in the city of Dayton would be a welcomed economic oasis for the region, relaxing the ability for such businesses to get licensing, offering tax breaks, and creating an attraction downtown like no other. The steps to cleaning up our city rests with the ability to make it a friendly inviting place to visit and live and this just may be the key to accomplishing it. Cities such as San Diego, Denver, Philadelphia, San Francisco, and even Cleveland have embraced the beer community and have capitalized from it. Creating districts boasting multiple beer venues. There is money to be made and plenty of vacant buildings to go round, and a city planned district involving some helpful incentives could lure existing commercial breweries to come to the area for expansion. Breweries such as Oskar Blues, New Belgium, and Epic Brewing have all attempted to expand their reach into new territories by currently building breweries in other States. Is there a market in Dayton? Without a doubt! The ever expanding array of Craft Beer festivals in the area have tripled in attendance in the past five years, the explosion of new beer spots has increased, and craft beer in general has seen a market increase to over 10% of all U.S. dollars spent on beer, and in 2012 6.5% of the total volume of beer purchased in the U.S. was craft, up from 5.7% in 2011. What about the bubble? A highly debated subject among invested craft beer enthusiasts. In an article titled "No Bubble For Craft Beer: Industry Pioneer"
In my humble opinion, if we are indeed in the midst of a bubble ready to blow, it may bring people back to a more local-centric way of purchasing and drinking beer and weed out those who are unable to cut it in the industry which is inevitable as more choices become available. To conclude my ramble, Dayton needs to embrace the economic benefits of beer, and in turn we can clean up our city and become a national destination once again. The White Whale, a tale as old as time itself. 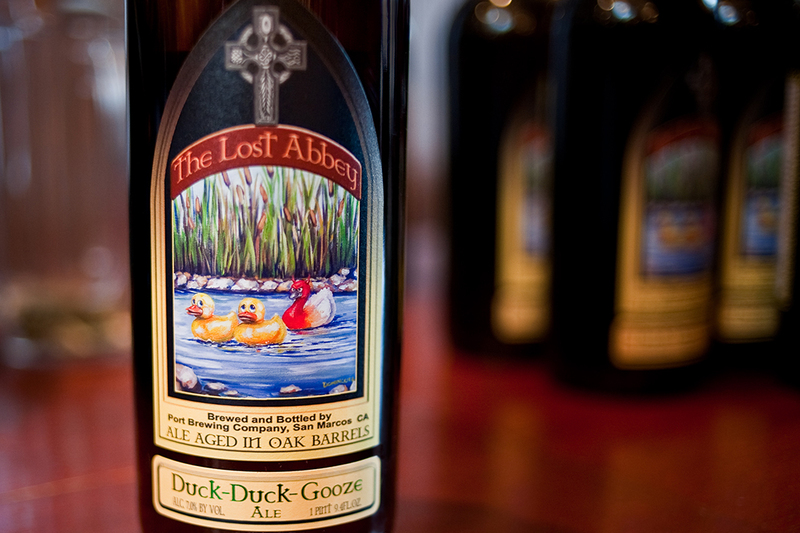 While most tales end with the adventure being what truly matters in the end, a "Beer Geek's" tale is quite different. The consistent rise of the craft beer industry year in and year out is quite a tale to tell, with the amount of breweries cropping up each year nearly doubling. Ebay beer sales have been banned, trading and shipping is becoming difficult not only for the risk but for the ability to trade your local lot for another. Washed in a mass of posts for the latest and greatest release is your ISO: Nugget Nectar FT: Locals. Surrounded by posts like ft: bcbcs, westy 12, kre iso: kbs. What have we become? Where have all the Beer Geeks gone?!? Are we truly turning into snobs? I can hardly walk out of my local bottle shop with a six pack of Two Hearted Ale without feeling I have been cheated in some way, "this was too easy," I tell myself. Does anyone buy a six pack of beer anymore? Am I the only Beer Geek who feels like they have gone full circle and would rather buy a readily available beer than chase down the latest release of KBS at the 5 closest bottle shops? Perhaps I am not, perhaps there are those out there willing to stand up to the ridiculous price some people put on bottles.. 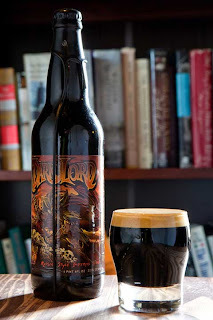 But Dave, "Your last post was about Dark Lord Stout, you damn snob." Well yes, I have chased the whales, in fact 90% of the beers I have tasted that have sold for over $100 a bottle, were nowhere near worth the insane price the supply and demand have placed on them. Throughout the past year I have seen some heavy hitting craft breweries take advantage of the very people who have made them a lot of money. I have seen fist fights over the fact that the last of the Hopslam was sold an hour ago, and I have seen retailers sell a $9 bottle of beer for over $50 because they could. Who is to blame? Ourselves of course. I refuse to be treated like a dumb consumer. Superbowl commercials are for those people, you know the one with the yellow swill in the bottle being less important than "WeeGo" delivering the stuff poolside. Buy Local! Yes, it is not just a phrase for the environmentally conscious anymore! With the massive influx of new breweries across the land, this should be getting easier to do. 5 are slated to open near me in just the next few months. Now I am not telling you to abandon all others for the Localvore tastes, but consider it in your next purchase of beer. Hell, I am not even trying to tell you to stop chasing the "White Whale" just try to ponder who is really in control of your purchasing power. Don't let yourself get taken advantage of, we all have the power to demand more from our Breweries, look how far we have come in just the past 5 years. So you've read my post with a checklist for DLD now here is my guidelines and rules for the tasting tables that you will see there as well. When normally arriving at Three Floyds Brewery in Munster Indiana the first thing you think about is, "There's a brewery back here?" but on that faithful Saturday in late April known as Dark Lord Day the scene you will see is far more different. A white tent set-up near the main entrance to the Brew Pub full of wooden picnic tables siting in puddles of a liquid that couldn't possibly be water, beckons you with curiosity. Sitting upon these childlike grade school tables are bottles, kegs, and cans full of the nectar of the Gods. BEER. Proceed with caution, because if you do not come prepared things may go awry for you very quickly, that is why I am here. I will give you a crash course in the etiquette for these magical tables. Read on my young friends and learn all you can! 1. Bring Some Beer - First and foremost, you must bring a few beers to place on the tasting tables. For you newbies: Do not bring any Macro Brewery products, you will be stoned and cast away. The best beers to bring are from your area, I am from Ohio so I will more than likely come with an ample supply of Hoppin Frog, Great Lakes, Thirsty Dog, Brew Kettle and Buckeye Brewing. You don't have to bring a rare beer to the table to sample if you don't wish to. There will be plenty of people willing to share as long as you are as well. For you Home-Brewers, bring a few beers you have brewed. 3. The Pour Rule (Very Important) - When you sample a beer that is not your own, if the owner of that beer is nearby, let the owner pour your sample. I cannot stress this more! 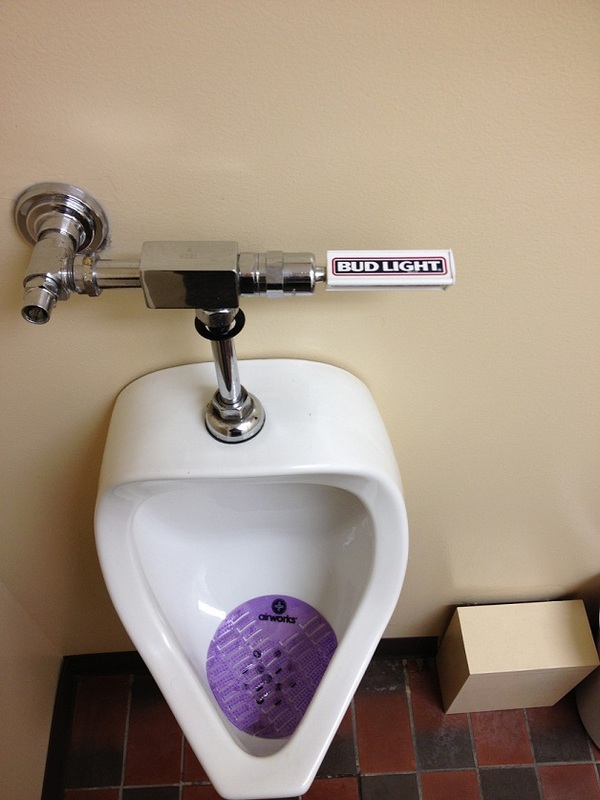 Speak loudly and ask, "does this beer belong to anyone?" If the owner is not nearby you may pour your sample, DO NOT GET GREEDY! 4. Do Not Open Another Person's Beer - All beer on top of the tables that is OPEN is fair game. If you see a beer that is not open, DO NOT OPEN IT! Understood? Good! 5. If It's Under The Table, It's Not Yours! - People will occasionally stash their beer underneath the tasting tables. This beer is NOT fairgame, if you don't want a brawl, don't touch it! 6. RESPECT - That's right, it's not just a catchy Motown hit! Be respectful, these are beer lovers! You will get what you give. There are beers on these tables you may never be able to try again, that is the fun of it all! ENJOY IT! Well, enjoy it all. Any comments? Let me know. Appearance - Copper in color with two finger head that fades and cascades slowly. Lacing has staying power on this one. Nose - The malts hit first followed by a well balanced pine and floral notes. Not overpowering at all. This just makes me want to taste it even more. Taste - As soon as it hits the tongue the bitterness fades in followed by a well balanced malt. The hops linger in a tango with the malt and together create something short of perfect harmony. This has to be one of the most well balanced American Double IPA's I have had all year (Sorry Great Lakes - Lake Erie Monster). The 10% alcohol presence is hidden very well. Drinkability - For those of you just getting into the exciting world of bigger IPA's try this one on your crash course with it's well balanced malt/hop presence it's one you will enjoy. What do you do now? - GO GET SOME!! Dark Lord Day 2010 takes place on Sat, April 24th. 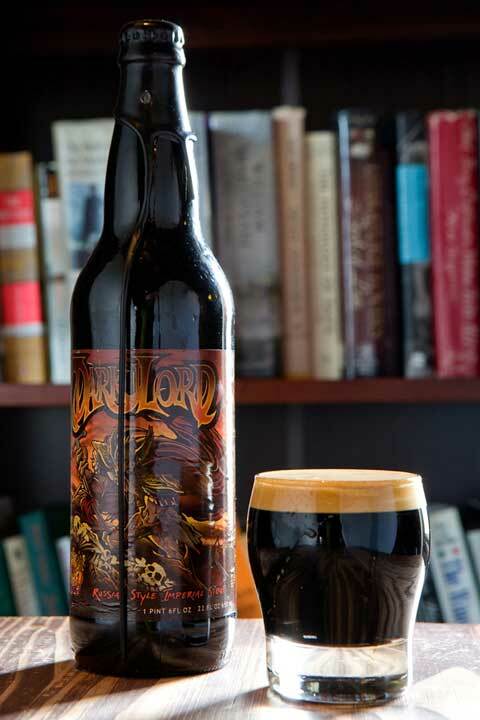 Dark Lord Day is the only day of the year to buy Three Floyds Dark Lord Russian Imperial stout. DLD is a festival where participants can meet other beer enthusiasts, sample beers from all over the world, buy Dark Lord, try Oak Aged Dark Lord Russian Imperial Stout, eat BBQ, listen to live music, and generally have a great time. A tasting glass/cup. I would suggest to bring a tasting glass (small, 2 to 4 oz) for the sharing of beer that will flow from every corner of Three Floyds. Bring a glass that you don't care about, I have dropped the one I brought a couple times. Dress for the weather. Check the weather report before you head to the brewpub, if you are driving in from out of state, plan accordingly. Rain, snow, sleet, humid, hot, cold, anything is possible in the Mid-West in April (it's God's guinea pig for weather!). FOOD, there will be food at DLD but it will cost money, you are probably already spending up to $120 on beer, so bring some food. Peanut butter is a great thing to bring, it will help keep your sober. A COOLER to hold your food/beer. Get a cooler with wheels of some kind, you do not want to carry around one all day long. You could also bring a WAGON to hold the cooler and your purchased beer, I will be bringing one this year. (If you drink) A DD! If you can, bring a designated driver, or take your time sobering up! Call a cab, take a bus! There are going to be a ton of Police, the last thing anyone needs is a DUI, or for Three Floyds to be punished from the stupidity of others. We Love You 3F!! A CAMERA, cell phone, video cam. Document and upload!! Beer Geek Extraordinaire! Now Regional Sales Rep for a National Brewery. With 6 years in the industry getting paid to enjoy beer I pass my knowledge and general ranting to you all!